How do I revoke my client's access to the proposal without deleting it? 1. Go into the proposal in question (by clicking on the title of the proposal), and click the "edit" link in the Basic Information section. 2. 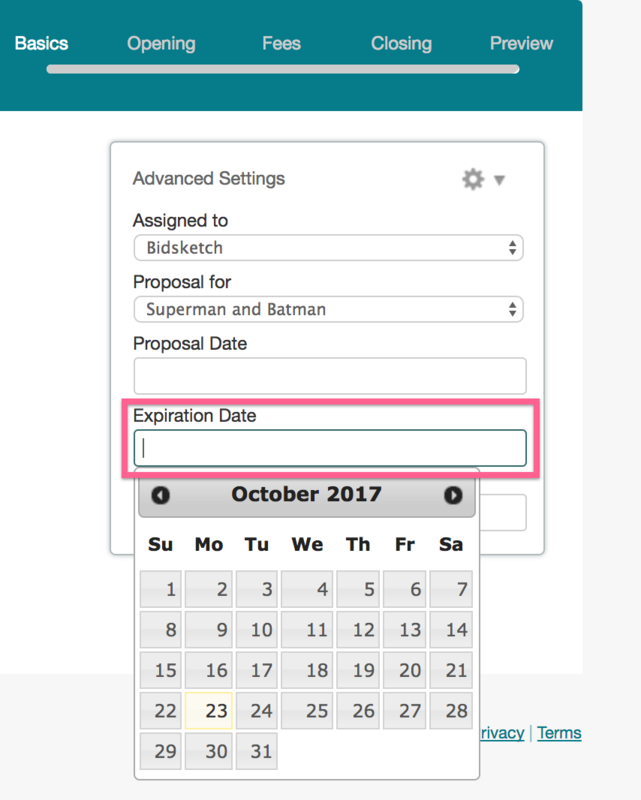 Click on "Advanced Settings" on the right and choose an expiration date. By doing this, the link that was sent to your client in their email becomes null and will lead them to a page like this one, so they can't access the proposal anymore, but it will remain in your proposals list until you decide to remove it.